Jana's Genealogy and Family History Blog: Mappy Monday–Fun with uencounter.me and an Upcoming Cool Feature too! Mappy Monday–Fun with uencounter.me and an Upcoming Cool Feature too! Have you tried uencounter.me yet? It’s a virtual pin mapping website. A while back I created an account, but I have to admit I didn’t pursue it much further than that. But thanks to Lorine at Olive Tree Genealogy Blog, I gave it another look. Her recent post Playing with Uencounter.me and Loving it! inspired me to give it another try. And I have to say, I like what I see! 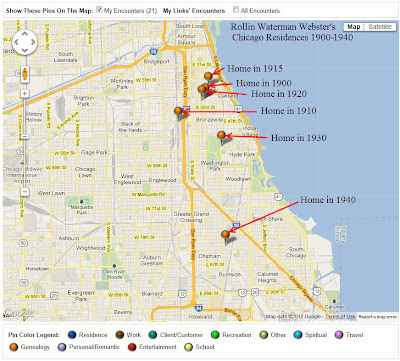 Thomas MacEntee at GeneaBloggers also wrote a great post titled uencounter.me – A Way To Plot Cluster Genealogy Research. Make sure to check out both Lorine and Thomas's awesome and informative articles. I have added pins for several different ancestors over the last day or so. 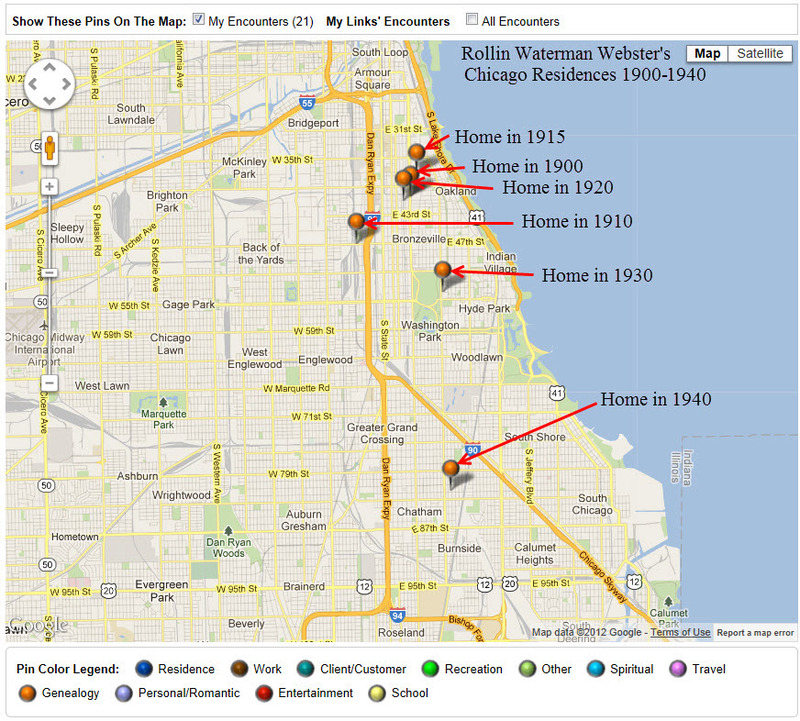 And as I added more pins to my map on uencounter.me, I started to wish there was a way to “tag” individuals or families so only they would show up on the map instead of ALL of my ancestor's pins showing up at one time. Me: I'm using uencounter.me for genealogy. Is there a way to "tag" different families so I can go to all of their pins without seeing any other pins all over the map? uencounter.me: Jana - Welcome to UE! There will be very shortly! We are in the process of finishing up some coding changes that will allow you to create different maps for different family members.... it's the biggest update of features yet! It shouldn't be a long wait and you can keep dropping pins in the meantime... we're creating a way for you to designated the pins you have already placed! Pretty awesome right? I’m excited about this update! Thanks uencounter.me! Have you tried uencounter.me yet? What do you think? UPDATE: The upcoming cool feature from uencounter.me is up and running! You can now create customized maps, ie. a different map for each surname, etc. Awesome! Thanks Jana. It's got the potential to be really useful for family history but so far very light on in Australia. Thannks so much for stopping by Pauleen. Yes, I can see it being quite interesting for family history research, especially when the "tag" feature is up and running. This looks like fun, Jana. I'll have to give it a try! Thanks for the explanation--it always helps to hear how people have used new tools. Hi Shelley, I hope you like uencounter.me. It is a cool genealogy tool. Thanks for stopping by!